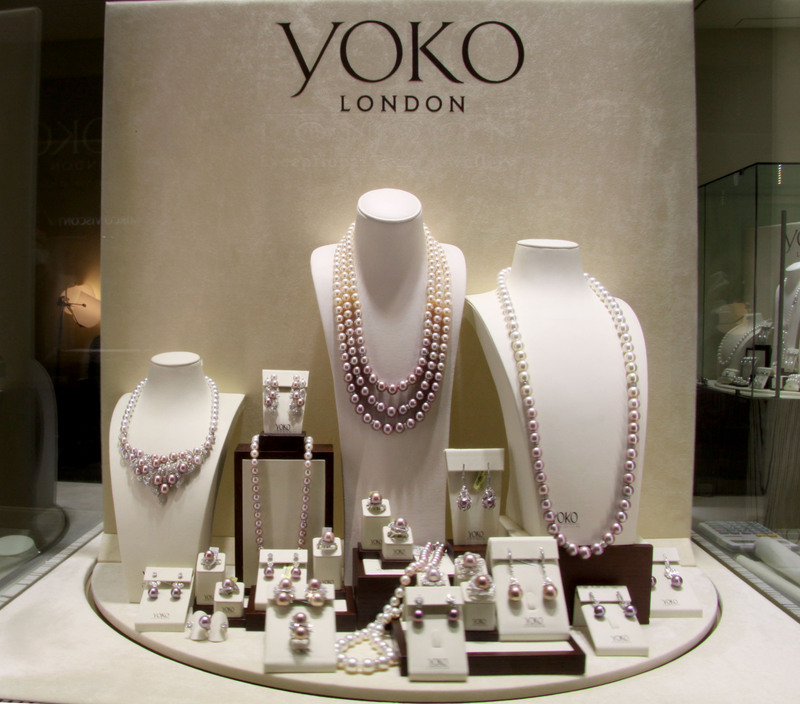 Mysterious allure, exquisite flair and superior quality are all about Yoko London pearls. The YOKO LONDON brand was founded in 1973. 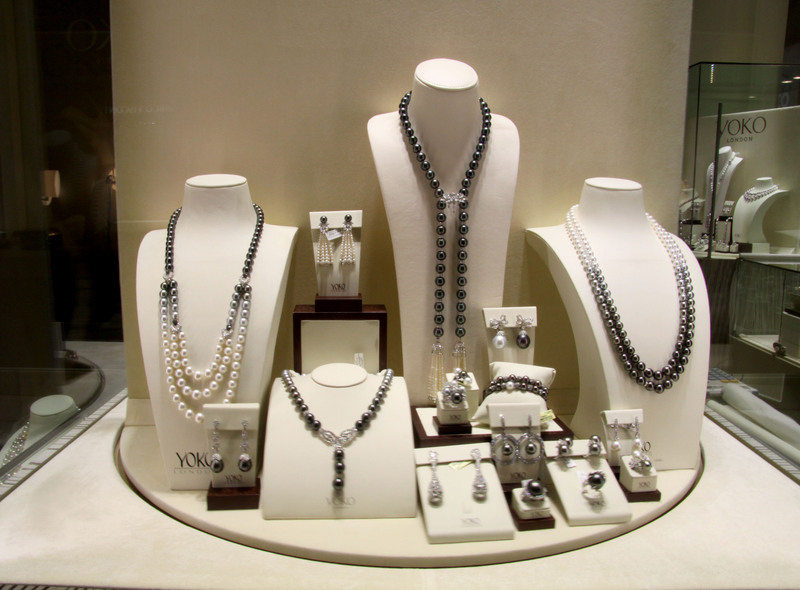 Over the years the company managed to gain an international fame, offering to the clientele the pearls jewelry of spectacular beauty and impeccable quality. Their breathtaking collections admire celebrities and stars worldwide. 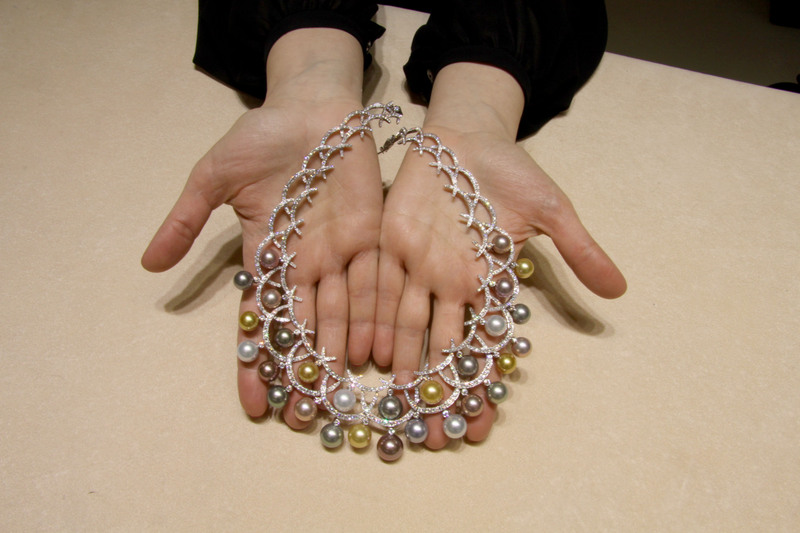 In 2013 the company was honoured to be chosen as one of the brands to represent modern pearl jewelry at the celebrated “Pearls” exhibition at London’s Victoria&Albert Museum’s Authority. Read our exclusive interview with Michael Hakimian, YOKO LONDON CEO and discover the enchanting world of pure luxury. L.C. : Your company which belongs to Europearls is a family-owned business. How did it come about and how did you get involved? M.H.:. The company was founded by my father in 1973. Now we are involved in the family business which is constantly growing. We introduced a lot of fresh blood into the company and we continue to develop the brand worldwide. L.C. : How has the brand direction differed since it started ? M.H. : The brand direction changed when we introduced the Yoko brand into the company. We were always wholesalers of pearls to the trade and to many other retailers, and when we introduced the brand, we started going for the finest quality pearls in the world and preparing jewellery and designs with it, that the way the company grew very rapidly, because what we are doing is fairly unique in the world. 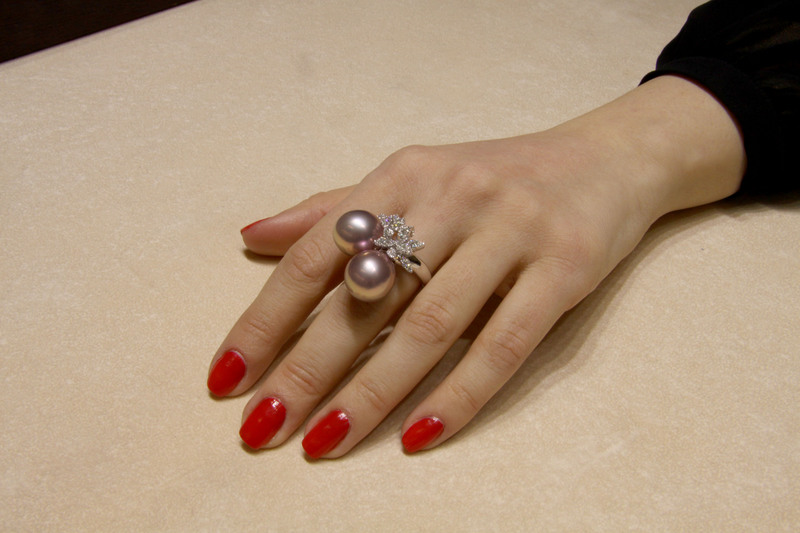 Very few people are using the same quality of pearls and the same approach to design. L.C. : Where do you get inspiration? M.H. : We get inspiration from absolutely everything and anything: sometimes it can be a flower, sometimes it can be a butterfly, sometimes it can be a building, architecture and history. So, inspiration is coming from everything. L.C. 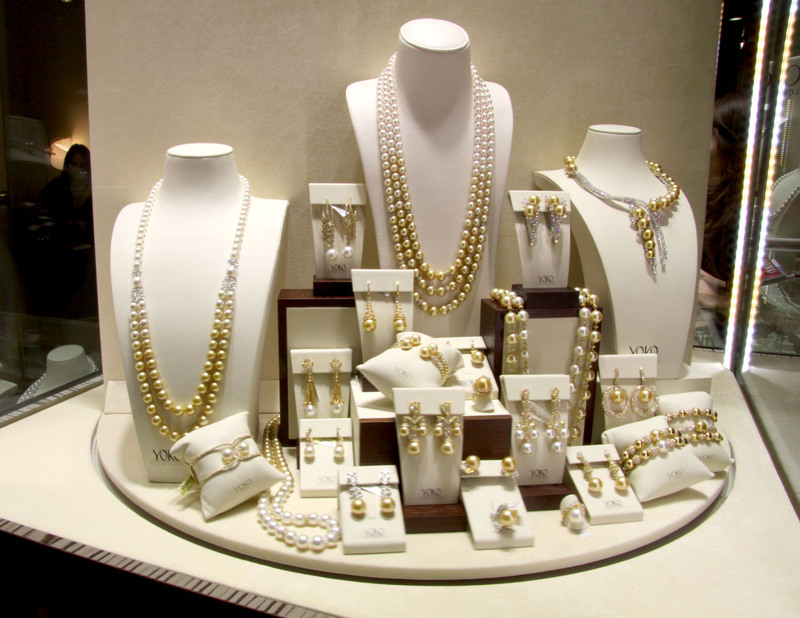 : What are your favourite pearls to work with and why? M.H. : My favourite pearls at the moment are the purple which we call Radiant Orchid. These pearls have come on the market fairly recently. They have very intense purple, very beautiful colour and they were not available before, so I love them and I love working with them. We made many beautiful jewellery degradé colours with them and that’s the sort of my favourite at the moment. L.C. 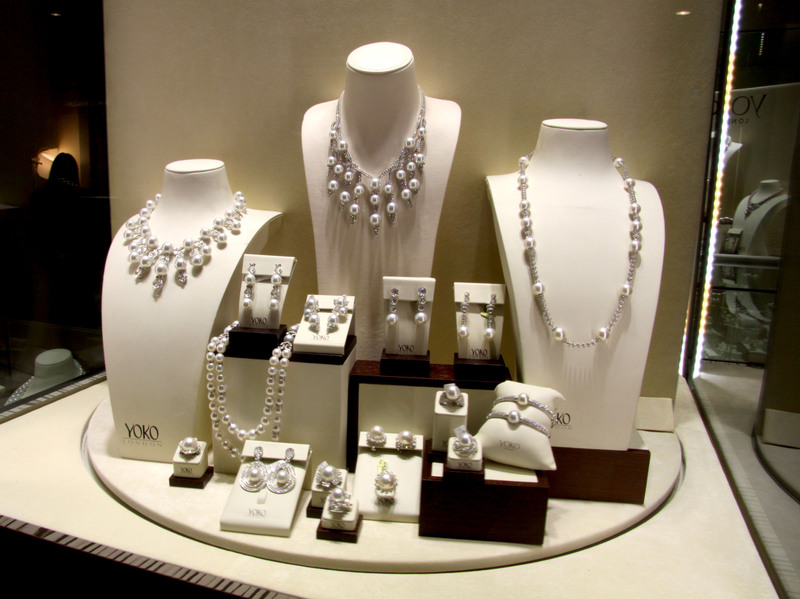 : What kind of pearls do you consider to be the best investment? M.H. : Best investment are the best quality pearls, so the higher the quality of the pearl, the better the investment because they are rare and it is very difficult to find them again, so I always encourage people to buy the largest, the nicest, the finest pearls because of easy they can be passed from generation to generation and that’s the best investment. M.H. : My typical Yoko woman is a modern woman with the mind of her own, who decides in the morning how to dress and they are not always conforming with what everybody else wants to do, they design the clothes the way they like it, they dress the way they want, if the fashion is the same as the jewellery, a lot of high jewellery is now made for wearing during the day as opposed to evening wear, so that the modern woman can actually enjoy and getting inspired by the pearls and the colour of the pearls and match it with the clothing and everything else. L.C. : Three key words that define Yoko London jewels. M.H. : Success is all about hard work. We buy pearls from fourteen different farms, so we are constantly looking for that special pearl, something that people have not seen and then inspiration and design; it’s all about design because even the finest quality pearl without a beautiful design is not desirable. M.H. : The jewellery industry is continuously changing and evolving and we have become very much like the fashion industry, where every six months people expect to see a new collection, expect a lot of new inspiration, new colours and everything else so that is the truc to be up-to-date and to be able to inspire people with your designs. M.H. : Luxury is about rarity, something that nobody else can have and this is what we’re providing with a lot of our pieces. We put a lot of work and effort into finding special pieces and designing magnificent jewellery with it and this to me is an absolute luxury, because in many cases the pieces are one-of-a-kind and they don’t exist anywhere else and nobody else can ever replicate it.